Cofa Media is quick to remind its clients that they're not talking about the "internet of things." 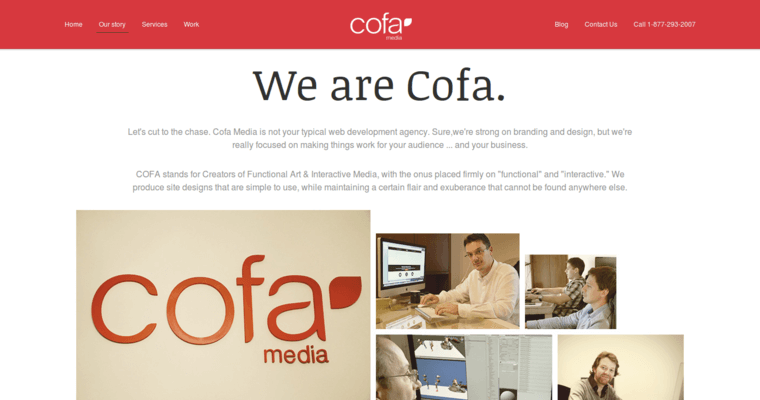 Cofa Media specializes in the "internet of people," and Cofa Media definitely puts the user experience front and center with all of its creative efforts. Truly an international outfit, Cofa Media has offices in California, the Netherlands and even Serbia. This international experience helps Cofa Media's marketing and design teams separate what works from the rest. Maybe this is the reason that Cofa Media has kept around fan favorites like interactive websites, UX designs, and responsive webpages. 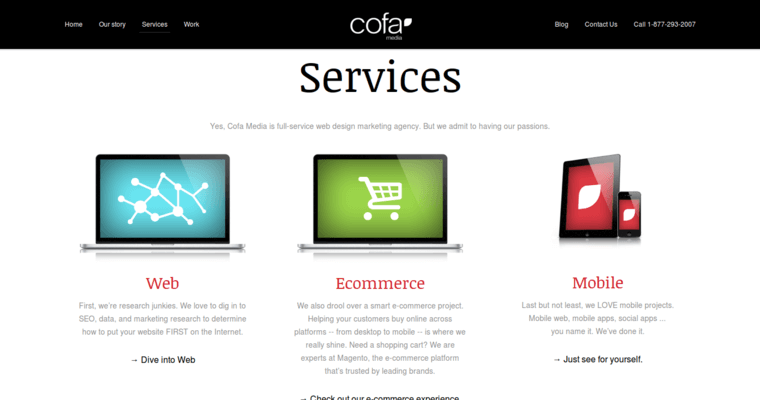 Cofa Media caters to clients looking for any (or all) of the following: mobile-compatible websites; websites for PCs; web-based apps for Facebook; social media marketing; or, search engine optimization services. 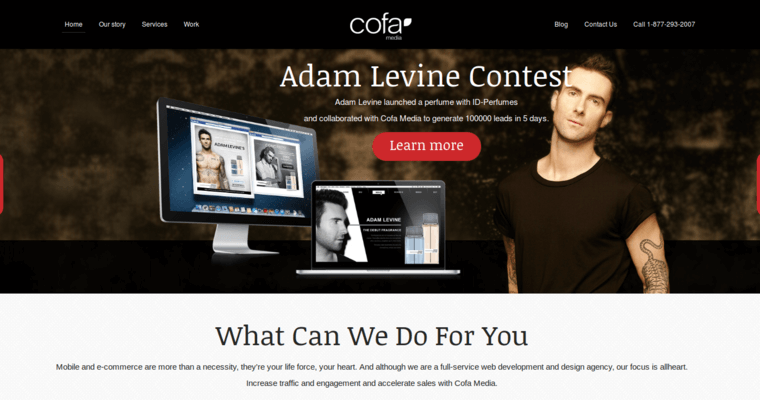 Once clients have selected the services that they'd like to collaborate with Cofa Media on, a host of branding services and strategy consulting round things out.